close to Faliraki center. lots to do around. beach is nearby. Hospitality, helpful owner, friendliness, cleanliness, comfort, great location. The location is excellent, 5 mins to the beach, 2 mins to restaurants and to the main street. Supermarket and bus station is close as well. The host Dimitris is an amazing guy, he really cares about the guests! My parents was there. They said that everything was ok. Hotel is in good location. Room was cleaned every day. For its price I think it is one of the best choice. Location of the studio is ok, nearest beach is very nice. Stuff is helpful. Really good location,near the sandy beach,main street,main road to Rhodos.Very quite place. 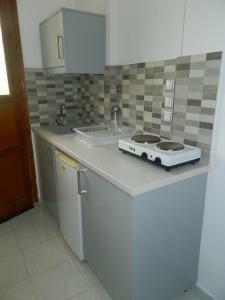 Very good place, dimitros is a very perfect owner, room very clean with kitchen and terrace! Close to faliraki beach and not far to antony quinn and ladiko beaches! Hotel was hidden we couldn’t find it then there wasn’t a respection so we had to wait ages for someone to come and give us a key and in the end we got kicked out at 10am when the check out was 11.30am and the people were rude ! Dimitris is a very helpful person. Also he is so kind. The hotels location is perfect. Lock in a great price for Roseberry Studios – rated 8.1 by recent guests! One of our best sellers in Faliraki! 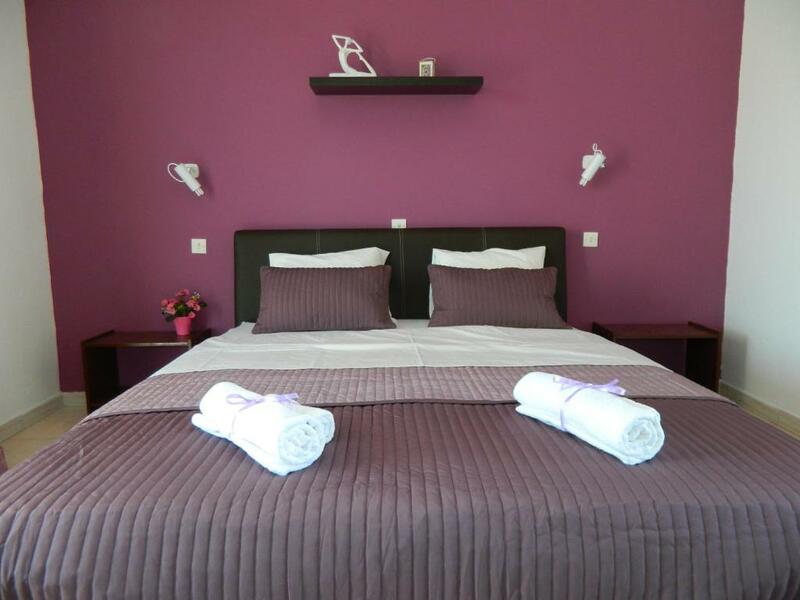 The Roseberry Studios is a delightful location to spend your holidays and is only a 2 minute walk from Faliraki center and 5 minutes away on foot from the nearest beach, one of the largest beach resorts in Greece. 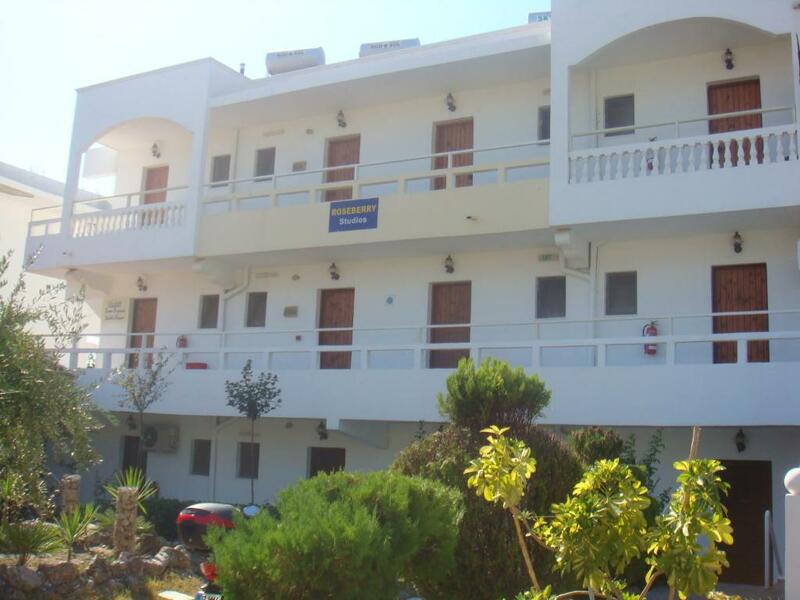 Enjoy a cost friendly accommodations by the primary beach resort of Rhodes. The Roseberry Studios are located in nice surroundings by the bay, where you can experience Faliraki first hand. You can also take advantage of free private parking, which is not easy to find by the beach. Faliraki has been rewarded with the “blue flag” environmental award by the EU for their clean beaches. Faliraki is also very famous for its night life, with the Faliraki Bar Street offering a large diversity of bars and clubs to choose from. Spend your day relaxing on the beach and experience the city’s vibrant night life. 뀐 Located in the top-rated area in Faliraki, this property has an excellent location score of 9.0! When would you like to stay at Roseberry Studios? This room opens to a private balcony and offers free Wi-Fi. This studio features a toaster, tile/marble floor and electric kettle. House Rules Roseberry Studios takes special requests – add in the next step! Roseberry Studios accepts these cards and reserves the right to temporarily hold an amount prior to arrival. Please note that the total amount of the stay must be paid upon arrival. Please note that cleaning service is available every 2 days. We dont like bed and bathroom. When we order, we would like other room and when we come, we get not this room which we like. -Great location -Super nice staff -Very close to the beach -A lot of supermarkets, restaurants nearby -for the cheap price, this place really exceeded our expectations! would definitely come back! The studio looks at the pictures much much better then it is. Really old furniture, uncomfortable bad, even though there’s a stove, it is very difficult to cook anything, it’s very old and doesn’t work that good. Sure all of these can be explained by the low price, but the island itself offers better housing for this price. Uncomfortable bed and pillows, old bathroom, toilet etc.